SAULT STE. MARIE, Ont. – Noah Boman had a goal and helped set-up two others, including the game-winner, as the Soo Thunderbirds held off the Hearst Lumberjacks 3-2 Saturday night in the opening match-up of the Northern Ontario Junior Hockey League championship series at John Rhodes Community Centre. Saturday’s tilt saw Hearst strike first as Garret Giertuga swiped the puck off a Thunderbirds defender at the Lumberjacks blueline then proceeded to dart in on a shorthanded breakaway before snapping a shot, low glove side, that eluded Soo starter Colin Ahern at 5:43. The home side came back to knot the affair 12 and a half minutes into the first frame as Boman took a cross-ice pass from Lucas Theriault then flew down the right wing, slipped the put through the legs of a Hearst defenceman, then proceeded to lift a back hander with just one hand on his stick over Nicholas Tallarico in the Lumberjacks net. Moving it around crisply during a two-man advantage later in the session, the Soo had a chance to take the lead, only to be denied by the visiting stopper. However, still up a skater, the Thunderbirds went in front with Nick Smith blasting one from left side with help from Boman and Steven Bellini at 17:57. It was more from the Soo in the middle session as Boman forced the puck free in the neutral zone and got it up to Theriault who sped in on Tallarico and raised a back hand attempt up and in to put the hosts up by a pair after 40 minutes. The best opportunity in the initial 10 minutes of the third came off the stick of the Thunderbirds Brock Santa Maria who rang one off the post. Hearst pulled their netminder in the late going for an extra attacker and got one back with 45 seconds left as Bradley Golant redirected a thigh-high attempt towards the net to bring the guests to within one. However, Ahern and his Soo teammates held firm from there to secure the Game 1 victory. Shots on goal finished at 35 apiece with Ahern picking up the win while Tallarico suffered the defeat. Game 2 in this best-of-seven affair goes Sunday at 5 p.m. back at John Rhodes. 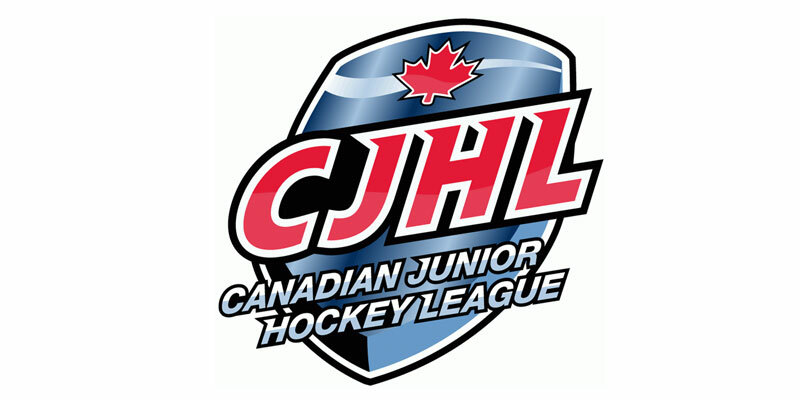 The NOJHL winner will advance to the Dudley-Hewitt Cup Central Canadian Jr. A Championship, April 30 – May 4, in Cochrane.